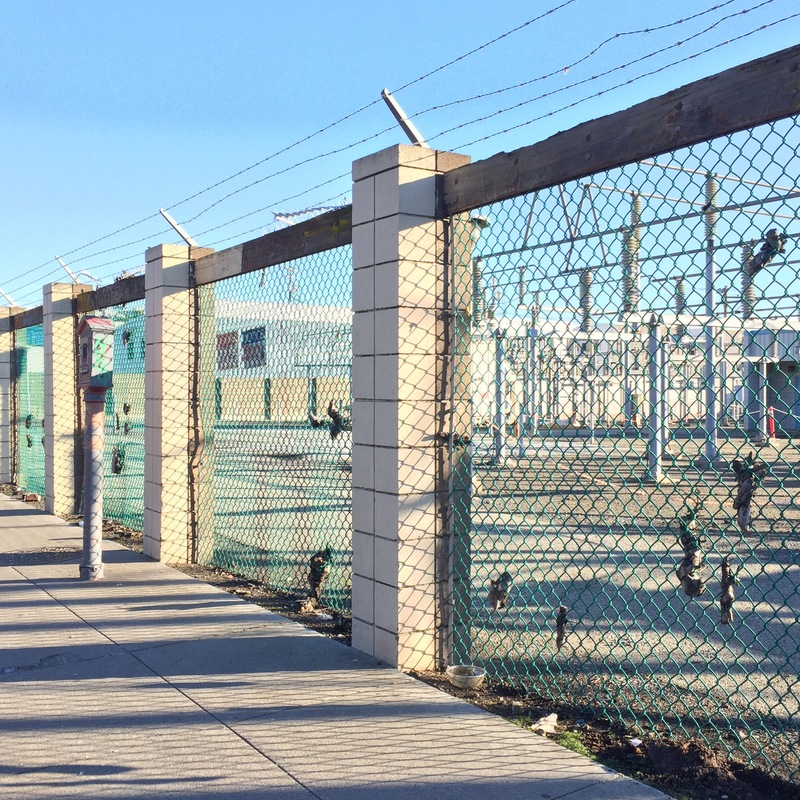 Every so often, while walking through the city, I come across a chain link fence like this one. It tells the story of a relationship past. Surely we all recognize the feeling, we have all been indelibly marked by someone who was once close but has since gone away? Though the friend may be gone, he always leaves something of himself behind. 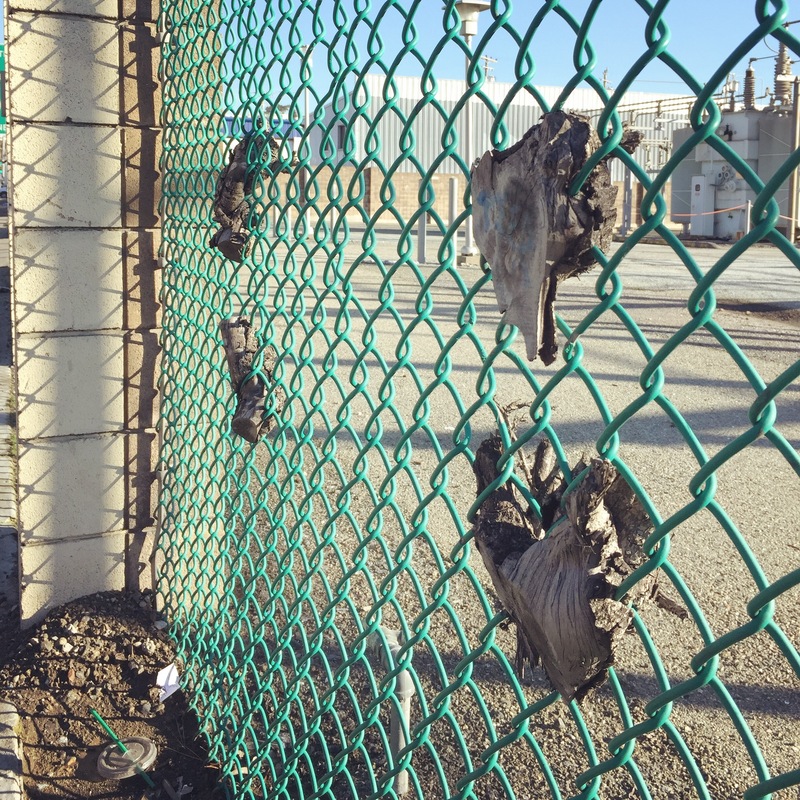 Or maybe this fence could just use a good flossing! 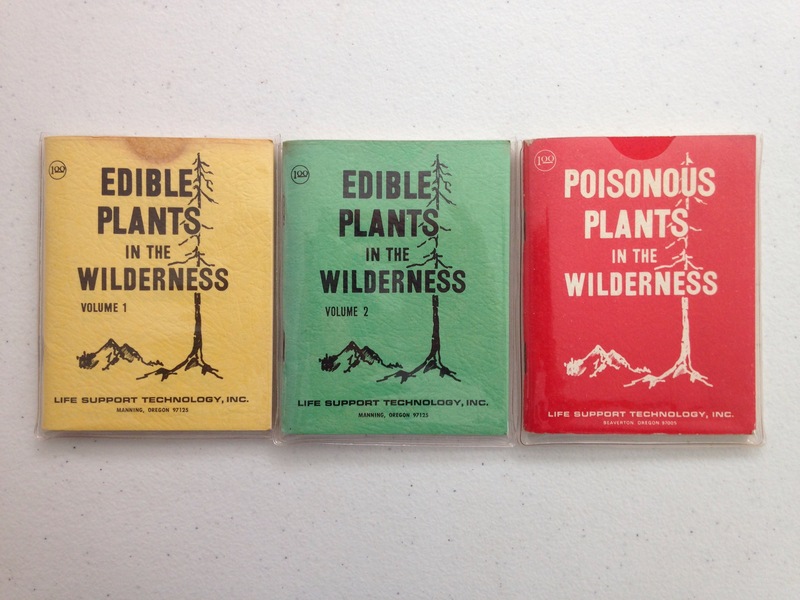 Came upon these handy guides for campers and outdoorspeople on Edible Plants and Poisonous Plants in the Wilderness. I’m about to move across two oceans so I would like to give them away to any loyal reader or contributor to this blog. They are pocket-sized and come with handy protective sleeves for your outdoor adventures. Please post a comment if you’re interested, and email your shopping address to urbanplantresearch at gmail dot com. SAN FRANCISCO, CA — We are pleased to provide urban plant reporting from San Francisco. As residents of this city for more than eight years, we have witnessed urban plants – large and small. We look forward to sharing more plant sightings from our foggy city. The manicured bushes of Noe Valley. Megan likes plants a lot, especially ones she can eat. She keeps a modest balcony garden in her Mission apartment. Its current resident is curly parsley. Phoebe likes plants in surprising or comical situations. As a woodworker, she also keeps an eye out for fallen city trees. Looks like a lot of cutting boards. Plant walks at the lake, around the train station, in parks and in a graveyard — our week as artists in residence at Lichtenberg Studios flew by. On Friday, a few days before our departure, we hosted a plant talk and discussion, featuring the video diary of our Lichtenberg explorations above. 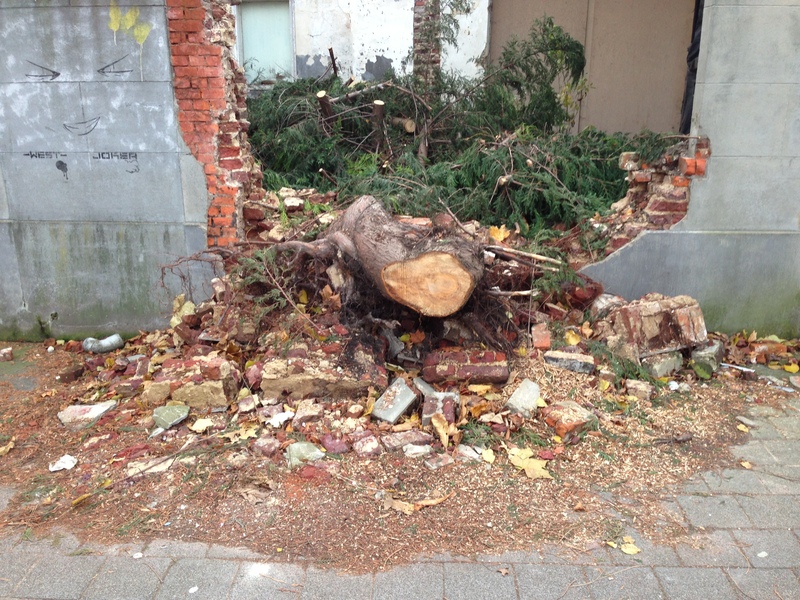 This winter, two trees in Hasselt, Belgium managed to deliver a blow to a brick wall in a café parking lot, reports local designer Pablo Hannon, who sent these pictures from the scene of the battle.